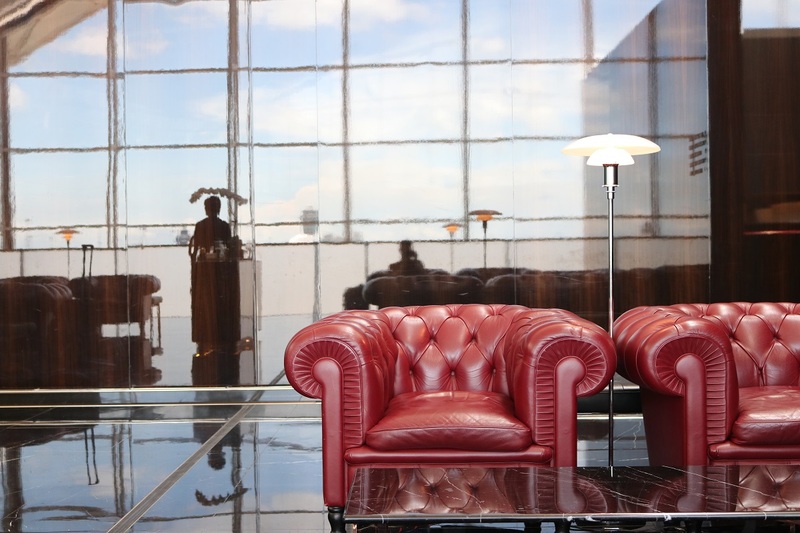 Cathay Pacific offers access to many Business and First lounges at Hong Kong airport. After reviewing The Pier Business Class lounge last year, I had a chance this time to enter The Wing just before a First Class flight to Bangkok. Located few meters away from customs, The Wing First Class lounge offers comfortable spaces with full view over the tarmac. The overall size is not that big, but fortunately First Class passengers are not numerous. Let’s see how Cathay Pacific treats its most VIP customers! Just after the reception you can find the Champagne Bar, proposing some vintage Champagne from Krug, Veuve-Clicquot and Moet & Chandon. Setup and furniture are lovely, very chic. However, apart this small area the rest of the lounge is pretty common. I visited many Cathay Pacific Business Class lounges in the world, they are quite similar to The Wing’s bar, waiting area and restaurant. I’d have appreciated massage chairs, complimentary Spa treatments or private screening rooms. The only good point comes from the cabanas, which allow to relax during 30 min to 1 hour in private suites with rain shower, large bathtub and music. 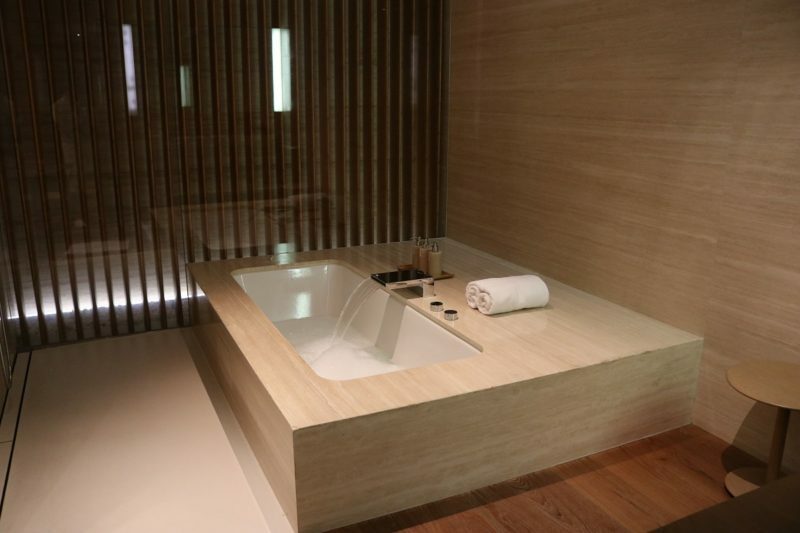 This way of relaxation is very appreciable before a short or long-haul flight. The Wing First Class complimentary restaurant was originally catered by The Peninsula, and from what we can see on internet – old articles – it seems food and menu were much qualitative. 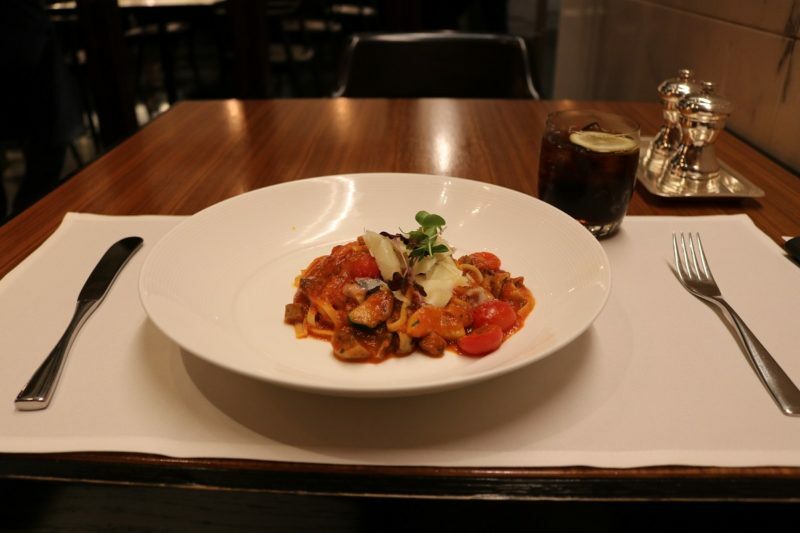 Today there is Haven restaurant, where a mix of Western and Asian dishes are proposed. At least, the selection is not too bad and served promptly. It lacks a few to make it a great place; maybe more space and enhanced menu. To be honest, I was expecting much more exclusiveness and refinement for the flagship lounge of Cathay Pacific First Class. Cabanas are a really big benefit, that’s true, but for the rest I have to say I didn’t notice any difference compare to a usual Business Class lounge from any other company. It’s a pity, especially knowing that Cathay Pacific is one of the most expensive company for First Class tickets (roundtrip Europe – Hong Kong for more than EUR10.000). Visited in July 2017 – Hong Kong International airport, Hong Kong. 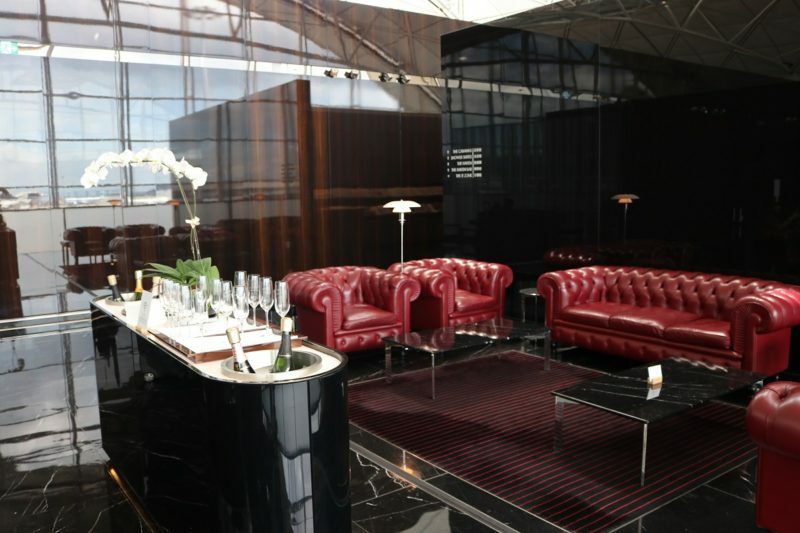 Access to The Wing First Class lounge is granted for Cathay Pacific and oneworld carrier First Class passengers + 1 guest.